Boyertown Soccer Club is excited to announce a partnership that will bring new soccer programming and opportunities to our community. Boyertown Soccer Club is excited to announce a partnership that will bring new soccer programming and opportunities to our community. The Board recently voted to form a community soccer club partnership called PA Dominion FC. 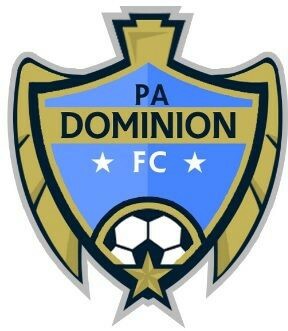 PA Dominion FC will be comprised of a group of local soccer clubs coming together to help compete with the elite “bigger” clubs and to be an academy alternative that gives a positive pathway for our competitive players. This is neither a merger of a takeover but an equally represented Soccer club with joint leadership from each founding organization. The local clubs who are participating in PA Dominion FC are Boyertown, Harleysville and Valley, with two more clubs joining in 2019. This new partnership is an option for those players looking for a higher level of competition on the field. It is designed for elite players to compete with academy teams and play in higher performance leagues and tournaments. The club’s age group starts at U13 (11v11) and will have one team per age group (boys and girls). The goal is to achieve NPL affiliation this year. This partnership will also help leverage those teams that are struggling to find players. Recruiting is not easy, but we feel that this new club will keep parents from driving further distances for their kids to play the sport they love. We will team up with the partner clubs to help find a home for all players when needed. We fully understand this announcement will be accompanied by a lot of important questions. Please see the attached FAQs and background for more information. We will also be holding a Town Hall meeting next Wednesday, 21-March-2018, at Boyertown Junior High School East Auditorium, starting at 6:30pm, for anyone interested in hearing more. In the meantime, if you have any questions that the FAQs and information sheets don’t address, please reach out to myself, our VP of Travel, David D’Aiello or Director of Coaching, Martin Gibbins. As President of BSC, it is my sincere belief that our participation in PA Dominion FC is critical for continuing to provide the quality soccer program all our players, at any level, deserve for many years to come. In fact, a very similar, is occurring in Delaware with the partnership of Delaware Rush, Kirkwood SC and Delaware Union into a new organization called Delaware FC. We are determined to make this work for BSC and all the clubs involved, and while the vision is articulated, the approach and process will evolve as needed. Your input is appreciated and critical to the successful evolution of this new program. Our players will be better for it. The BSC Board and I look forward to exchanging thoughts, ideas, and concerns with you in the coming weeks. As always, sincere thanks to all who volunteer their time for our club.